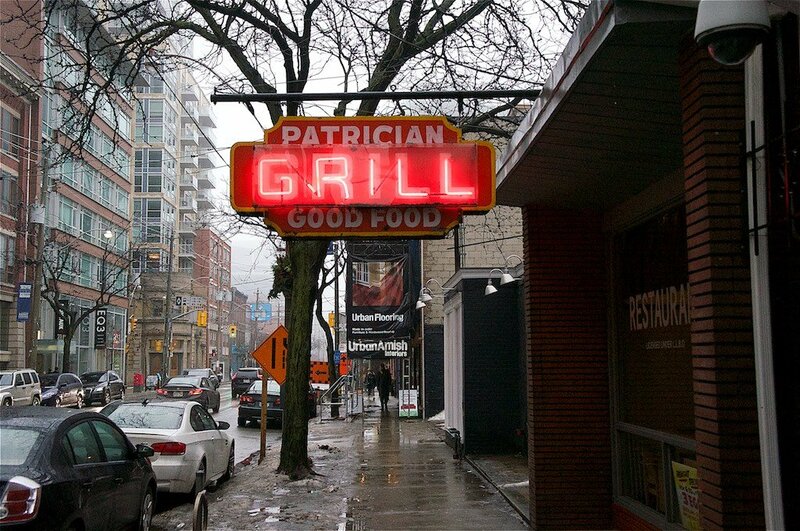 The first time I visited the Patrician Grill would have been around 17 years ago, when I was working on King Street East. The proprietor at the time was Louie Papas. After chatting with him for a few minutes, it turned out that he a friend of my Father (both being of Macedonian heritage). Louie told me that, the day I was born, my Father gave him a cigar. Each and every time I visited the diner, he told me the same thing “You know the day you were born, your Father gave me a cigar!” Love you Louie! 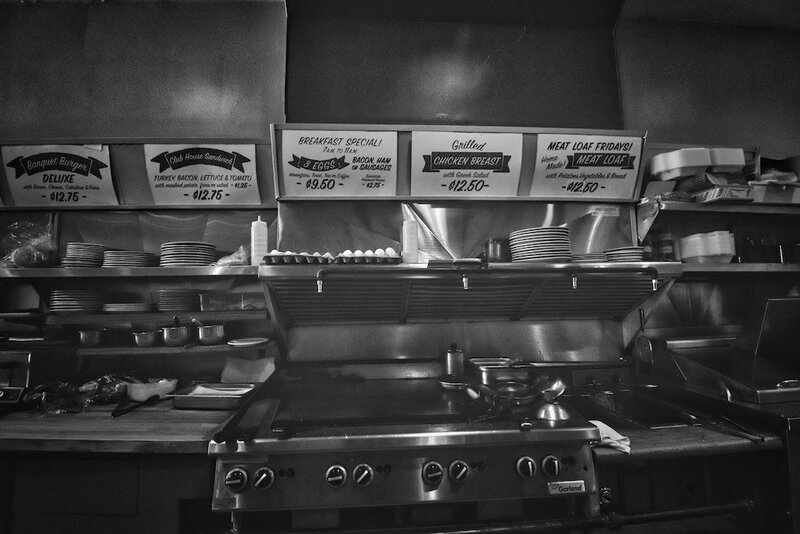 The diner was originally built in the 1950’s and was acquired by Louie and wife Helen in 1967. Son, Terry Papas is running the diner today and his brother-in-law Chris Slifkas is the master in the kitchen. 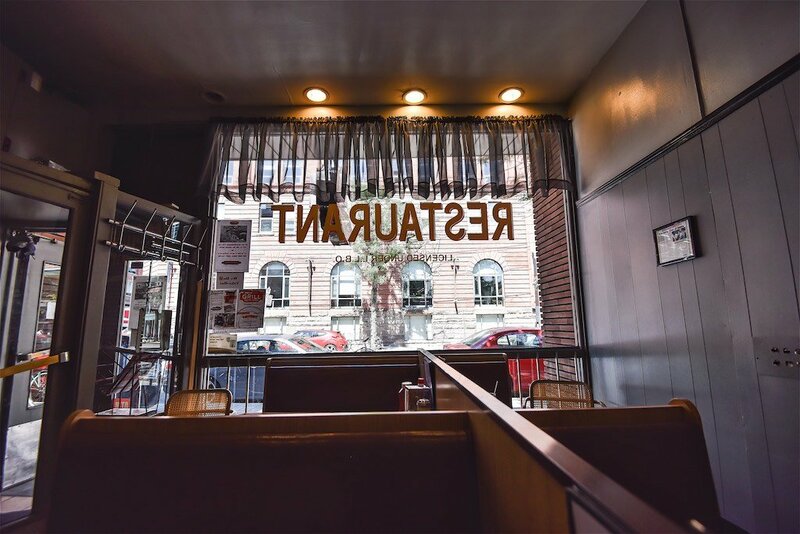 The restaurant remains virtually the same as it was in the 1950’s. 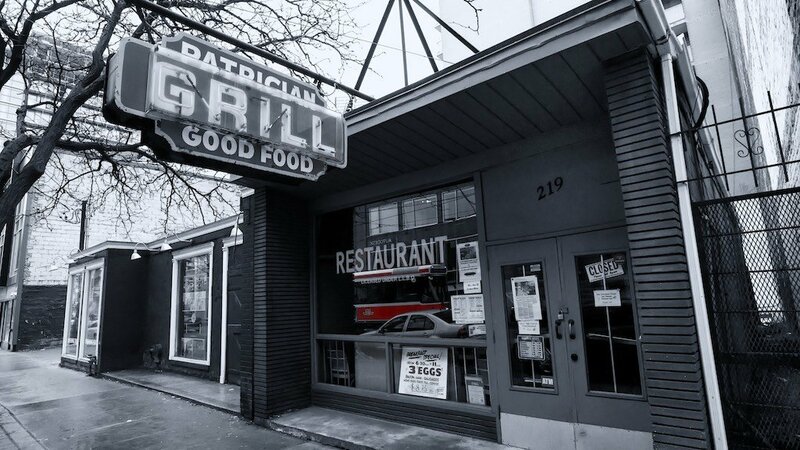 The Patrician Grill specialized in comfort food and serves the best breakfast in town. The bacon is never greasy as they pat it down in towels before serving. Oh! Did I tell ya they have peameal bacon too, eh? That’s a little bit extra but well worth it! In this picture, you can see some of the menu items. All the food is excellent and reasonably priced. Apart from being a fantastic diner, the diner is used 2 or 3 times a year by film companies for movie productions. The interior decor, with booths and bar stools certainly gives one the feeling they are in a long ago time. The only thing that is missing are those mini table-top jukeboxes (but those are long gone). I highly recommend the Patrician Grill. It is situated at 219 King Street East. Service is fantastic and the food is great! This entry was posted in Architecture, Diner, Patrician Grill, Restaurant, Toronto and tagged Diner, Patrician Grill, Restaurant, Toronto.